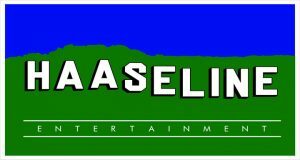 Haaseline Entertainment brand continues to grow in the areas of retail , licensing and entertainment marketing. It’s one thing to have a brand that is well recognized and another that is loved. Today we live in a marketplace that sometimes believes any news is good news but doesn’t build healthy relationships. We love our clients and brands we work with from Beef Jerky to Maps & Calendars, we are committed to building healthy relationships with retailer and shoppers. Apparel (Cap & Tee’s/Hoodies) and Food categories are still area’s that we enjoy building exclusives and creative relationships that evolve vs stay in a comfort zone. Our low cost effectiveness is appreciated by small brands with experts from 30+ years in Big Brand Marketing. How Low is our cost ?? Email us .. we work hard with our customers for results to the budgets they intrust us with. Love is all you need !! America’s top 5 LOVED Brands? Herseys is the first food brand at #7, and at #19 Subway first restaurant. With that being said a brand like Oreo doesn’t make the top 25 but is #5 with Gen Z. Are you marketing for the short term or just providing content for you heavy users ? Congrats to Oreo for continuing to build against the future. As you building your future shopper do you realize that U Tube is the best media for children 0-14 and Toys/Electronics/Apparel are still the #1 categories to align with for that audience. Don’t wait for your core users to grow into your brand ? 4th Quarter rocks sales at Retail (Brick & Click) , Box Office has biggest box office in History, and Content drivers like Netflix are changing the way brands can interact with Entertainment Marketing. Sales were +5.1% with more than 850B. Apparel was up 7.9%, Home improvement +9% , with declines in electronics (0.7) and department stores (1.3). Online sales were up 19.1 with department stores online 10%. The big dogs in the hunt shared out this way to drive those numbers above. Walmart had growth of 1.9% (same store sales +4.2) with online up +43%. They surpassed Apple to rank #3 behind Amazon and Ebay. Amazon still commands 47% of the online business with growth of 20% but still only 5% on total retail. In Licensing , how about these numbers US Sales 150B which is 50% of the total licensing business !!! Globally the segment breakdown is Characters 122B , Corporate Brands 58B, Fashion 32B , Sports 26B & Publishing 18B. Still a valuable tool grow sales & share , but you must still be able to execute and connect with shoppers/retailers. We are the missing link!! Our Direct to Consumer commitment always delivers!! 2019 proves that the ever changing entertainment landscape will continue change at a rapid pace. Product Placement , promotional connections, and Genre preference will be 2019 tactics that will drive the intellectual property decisions for brand marketers. Studio’s are committing to genres like horror , superhero’s, musicals , comedy and they will be available like personalities for brands in the future. Animation and Kid friendly will continue to dominate but your brand can stand out if you branch out in the wilderness !! Understand that Fandom audience continues to grow and be the largest consumer audience in the marketplace!! Let us show you our many options to drive excitement with the most recent entertainment properties!! We are very excited by Valiant Entertainment and Sony’s commitment to the Movie “Bloodshot” coming soon starring Vin Diesel and more. It appears it will be the 100 M shot in arm we have been waiting for to deliver apparel, caps, jewelry and calendars. We will be working hard with our partners Outdoor Caps and SwiftGlimpse to get new designs and product to support at Retail. Creating programs that offer (FOMO) the fear of missing out is what we do at Haaseline Entertainment. Programming that includes retail merchandising and creative ways of fulfilling media requirements for entertainment propertities is our forte. No need for FOBO ( Fear of Better Options ) … we have it all!!! Lots of great opportunities with films and franchises via studios in 2020. Warner Brothers has Birds of Prey (Feb), Godzilla vs King Kong (Mar),Wonder Woman 2 (June ), The Witches (Oct), & Dune (Nov). Universal with Trolls ( April) & Fast & Furious 9 (May). Sony with Bad Boys for Life (Jan), Bloodshot (Feb), Fantasy Island (Feb), Morbius (July), Ghostbusters (July), Monster Hunter ( Sept ), Venom 2 (Oct). Paramount with Top Gun 2 (June), Disney/Fox Jungle Cruise (July) and Avatar 2 (Dec). All have our stamp of approval to build retail partnerships. As stated in past news we have a vested tie to Valiant Entertainment’s Bloodshot which is on the Sony slate. This is a once in a lifetime opportunity to support brand new fresh content in the superhero universe with great added value in partnership. Contact us for first hand opportunity that can be built into a year long partnership on a very reasonable budget. We also have added VC Dry Goods (beef jerky), Outdoor Caps (headwear), Swiftglimpse ( maps & calendars ) and Butterflyze ( jewelry ) to our licensed product for Valiant Entertainment. This alliance has made our sales and marketing scope larger and adds more scale for retail and promotional opportunities. Haaseline Entertainment uses our sales leg the CPG Company to place brands on shelf at retail. Well over 100 years experience in Retail , Sales, & Marketing. We bring Program, Products, & Promotions catered to our customers needs; whether that customer is part of the manufacturing, retail, media, or entertainment industry! No idea or suggestion is not worth investigating any opportunity. Our ultimate goal is to develop a fully integrated program from click to brick & mortar to position brands to be category leaders within total store sales. 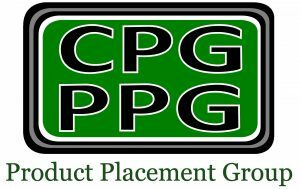 At CPG Placement Company, We offer top notch service with proven success in the field. In addition, our team is comprised of individuals of varied backgrounds, specialties and skills. These characteristics make us unique in many ways, allowing us to offer a wide range of support, feedback and services. Planning: We can offer input and feedback in creating strategic sales and marketing plans. Communication: We strive for open communication and always follow up in a timely manner. Communication is the cornerstone of any relationship, and we strive to keep the channel open. Creativity: We can provide input, feedback and assistance in creating marketing materials. Resourcefulness: We are always brainstorming ideas for new channels of distribution or placement for our brands. Information: Our team is continually learning about new trends and market changes. More to come as we build the dreams and productive alliances in the industry! Take a look at Haaseline Entertainments video and photo tabs in our FB link below to get an idea how we build sales , and relationships with shoppers, brands and retailers. Haaseline Entertainment is entering its 12th year of retail promotional marketing. Our goal is simple, to grow “total store sales” while connecting your consumer with the exciting “Land of Entertainment”. The fact is most companies just want to grow their brands and reach their individual targets. True leaders in our industry must create programs that can grow total consumption, (Share of Revenue) while tending to the individual needs of their companies brand share growth. We produce “share of mind” with our approach. Its time to grow total consumption and share of mind. Haaseline Entertainment has and will clearly be dedicated to making you and your brands “Healthy Growth Enablers“!! !